Media - Lisa M. Dinella, PH.D.
"Using science to understand how little girls’ and boys’ experiences shape them into the young women and men they will become." For years, parents and researchers have challenged the blue/pink divide in the toy aisle. But the split has only become starker. And what we play with as a kid can have a lasting influence. Associate Professor of Psychology Lisa M. Dinella gave an address, "The Power of Play," on Sept. 13 to Sesame Workshop, the non-profit organization behind the TV series Sesame Street. Developmental psychologists and parents worry about toys because toys matter. The Guardian - Are gendered toys harming childhood development? 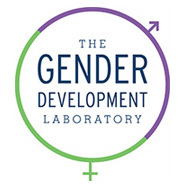 See, the problem is that I'm a research scientist who studies kids' gender development. I study how marketing toys as girl toys and boy toys can change kids' toy interests. My kids have heard me repeat that there is no such thing as a "girl toy" or a "boy toy." They know that my research says that toys are important to kids' learning, and that they should play with all the toys that they find interesting - not just the pink or blue ones or those from the boy or girl aisle. Gender labels, like the ones that Target plans to remove, matter when children are choosing toys. When parents, peers, siblings, family members, commercials, television characters and even the toy shelves themselves label toys as "for boys" or "for girls" it limits children's choices. In my own research with Megan Fulcher and Lisa M. Dinella, we found that when children were given a novel toy labeled "for boys" or "for girls," they were more interested in the toy labeled for their own gender. Even one gender label made a difference. The Washington Post - Want to get your daughters into blocks and Legos? Paint them pink. I'm standing in the block aisle with my kids' holiday wish lists. Usually, I'm there for my 9-year-old son. But this year, "Girl Legos" is carefully printed at the top of my 6-year-old daughter's list. As a mom of a boy and a girl - and a gender researcher who studies kids' toys - I'm curious about this. Over the last five years, toy companies have begun to produce toys typically marketed to boys - like bow and arrows - in pink. JACKSON - A hush fell over the room last week as 13 Monmouth University psychology students knelt on the floor and waited for the subject of the day's lesson to arrive. With a rattle of an opening cage door, two lion cubs - Kanu and Kondo - bounded into the room and immediately began playfully nipping at the students' hands and gnawing on their shoes. Growing up, did you play with girls' toys or boys' toys? Lisa Dinella, a psychologist at Monmouth University, is studying the nature of gendered toys. Copyright 2016. Lisa M. Dinella, Ph.D.